Outdoor barbecues will be back before you know it, and you can be ready for that (and all of your other cooking needs) with a 15% discount on the best kitchen thermometer money can buy: the Thermapen Mk4. 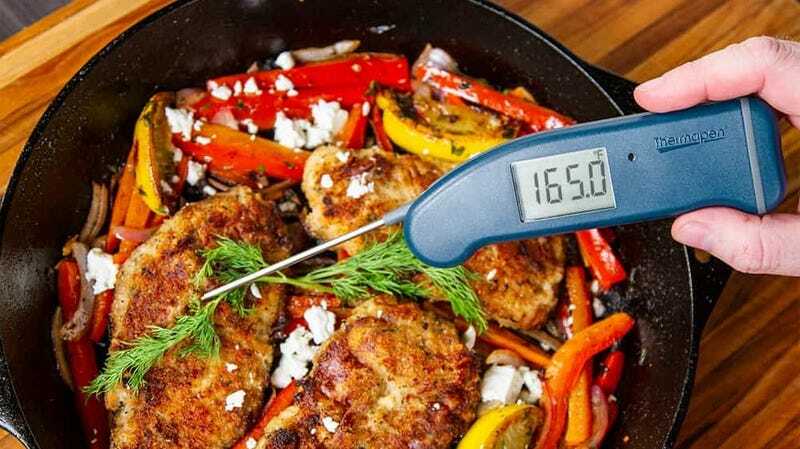 You guys love the Thermapen because it displays the temperature in 2 - 3 seconds, has a 3,000 hour battery life, is waterproof, and is accurate within 0.7°F. Step back into the kitchen in just about any nice restaurant, and you’ll probably see some ThermoWorks gear in use. This model doesn’t see significant discounts very often, and today’s is actually only available on the new, limited edition Marine Blue colorway. Very tasteful!